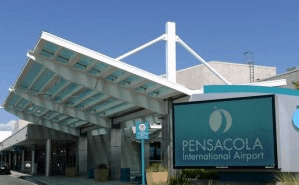 Pensacola International Airport (PNS) serves the largest market along the Gulf Coast between New Orleans and Jacksonville and is the 97th largest airport in the U.S. Since 2001, PNS has enjoyed a record increase of 54% more business, military and leisure passenger utilization. A dual-portal-multi-layered exit lane system designed by Hatch Mott MacDonald of Pensacola, FL was commissioned in late 2015 at Pensacola International Airport. The airport architecture and emergency egress requirements dictated an exit with multiple turns, which enhances security but challenges conventional exit lane technology, but ExitSentry was easily incorporated into the design team’s layered deterrent/containment measures. The system interfaces with video analytics for intended loitering detection in the exit “buffer” area. Alert messages communicate through the integrated ExitSentry audio alert system.